Calar Alto Observatory participated last September 30th 2016 on the European Night of the Researchers with a stand that showed the Fireball Detection Station that is presently working at the observatory with cameras from both the SMART Project and the Calar Alto External Surveillance system. Some images and videos of the most impressive fireballs were shown during the whole event. The researchers explained the nature and origin of this astronomical phenomena, generating a great expectation in the audience. Calar Alto Observatory is an astronomical reference for the Spanish and international communities due to the quality of its telescopes and astronomical instrumentation. With this idea in mind, it is now the time for proposing and selecting the last generation of instruments the community considers the optimum ones to perform front-line scientific projects, unaffordable in other observatories. This workshop that will be held at the Instituto de Astrofísica de Andalucía (IAA-CSIC) and opened to the Spanish and international scientific communities, is the starting point for this new stage of Calar Alto Observatory and will open the debate to select the best proposals for the new instrumentation and for most challenging Legacy projects. Please, find here all the information concerning this important workshop. 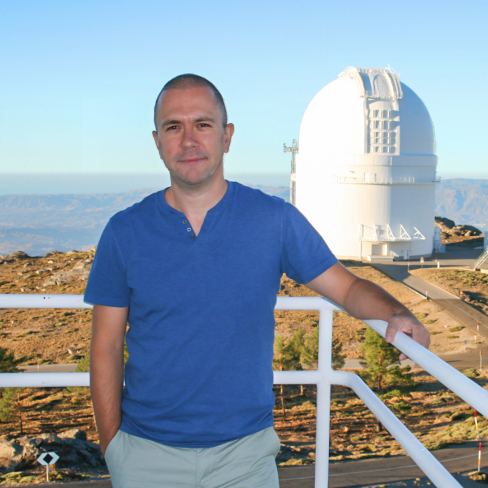 The researcher, who took office as Calar Alto Observatory Deputy Director since May 2014, has been appointed by CSIC and MPG, the observatory management institutions. This Friday, July 8th, a delegation from the University of Almería (UAL) has visited Calar Alto Observatory installations. Among the collaboration projects that will be launched, stand out the creation of an astronomical lecture room at the UAL, the incorporation of trainees at the Observatory and the creation of a summer course that approach its work to the whole society. 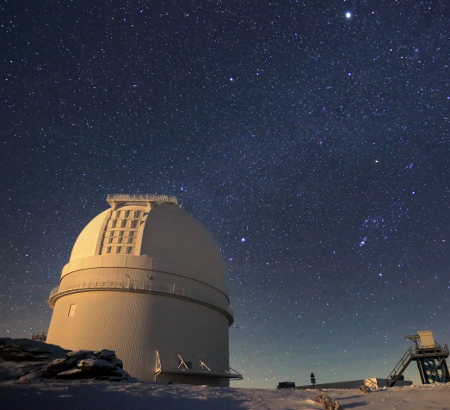 The University of Almería (UAL), Calar Alto Observatory (CAHA) and Instituto de Astrofísica de Andalucía (IAA-CSIC) have ratify a compromise in order to continue with the UAL-CSIC collaboration agreement signed in 1996, progressing in some of its contents. 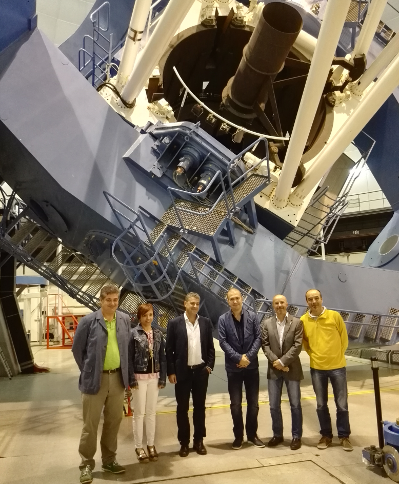 This Friday July 8th, a delegation from UAL, headed by the rector Carmelo Rodriguez, has visited Calar Alto Observatory installations, the biggest observatory in Europe mainland.